Gaeun’s artworks have been released as a fairytale art book. The book has been translated into five languages, English, Italian, Chinese, Japanese and Korean, in one book in order to communicate with many friends from all over the world. When the moon is full, a bear in the village of Lotus goes to the mountain to express his wish. 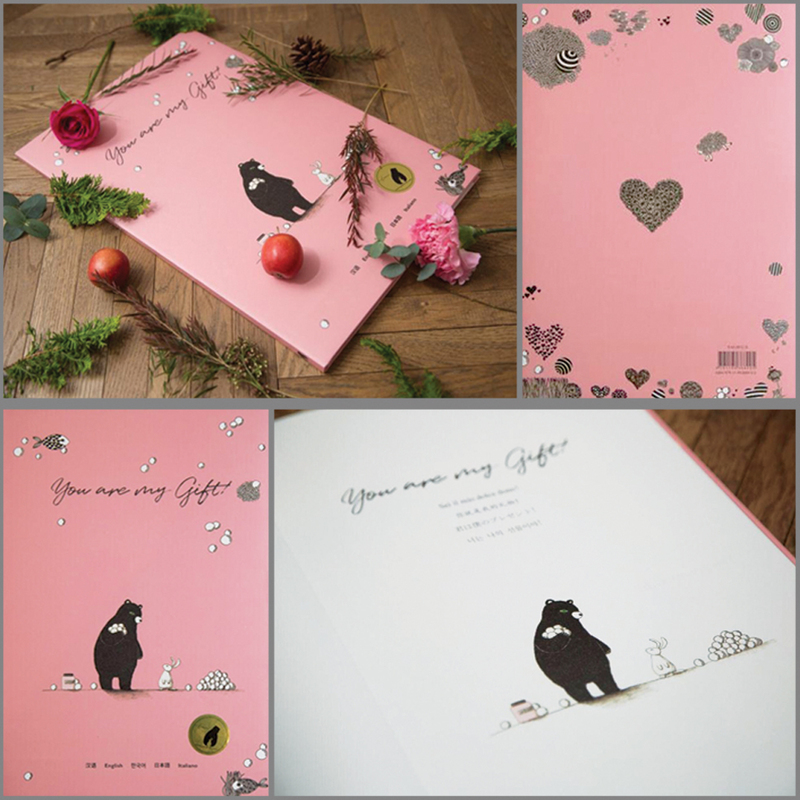 “You are my gift!” is a book that touches the hearts of people of all ages. A perfect gift for your family, friends, lover or for yourself.